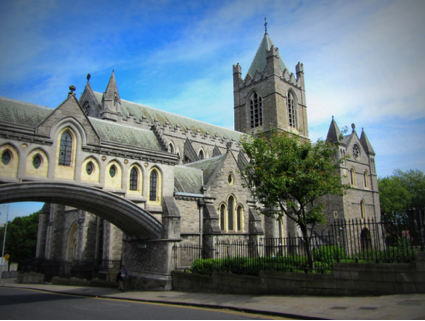 Positioned on Dublin’s Wine Tavern Street the oldest street in Dublin and site of the Original Viking settlement 841 AD the iconic Christchurch Cathedral. There has been a church on this site since the coming of the Normans 12th Century. Handles Messiah was first performed here and it holds in its Crypt the Body of Richard De Clare (Strongbow) first Norman to arrive in Ireland 1169 AD. The name Dublin comes from the Gaelic word Dubhlinn, meaning black pool where two rivers meet the Liffey and the Poddle the water becomes Black. Old Norse name for Dublin was Dyflin, those without knowledge of Irish omitted the dot, spelling the name as Dublin. 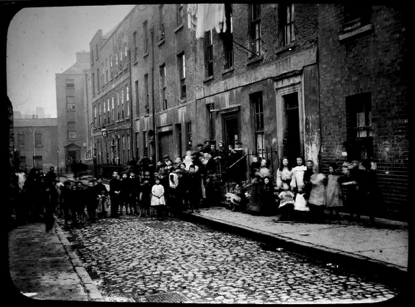 Once the second city of the British Empire Georgian Dublin built between 1717 and 1830 for King George the 1st, 2nd, 3rd & 4th became the worst slums of Europe after the Great Famine of 1845-51. Visit the Famine ship Jeannie Johnson or see how life was lived in the Tenements during the 1800s.